How much can you squat, bench, or deadlift? 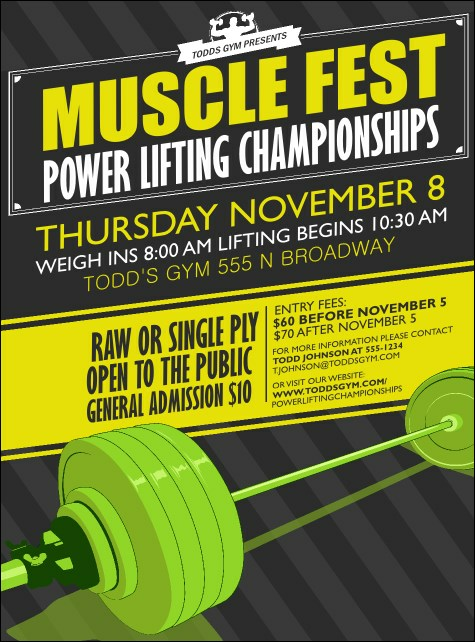 If you want to increase the volume for your next lifting competition, promote it with the Power Lifting Flyer. Featuring a neon green barbell up front, this flyer template has eighteen lines of text for all the details of your event. Pair with matching tickets, invitations, and postcards for easy event promotion!